The custom renovation of this historic home in Chapel Hill is almost complete. The painters have been hard at work. 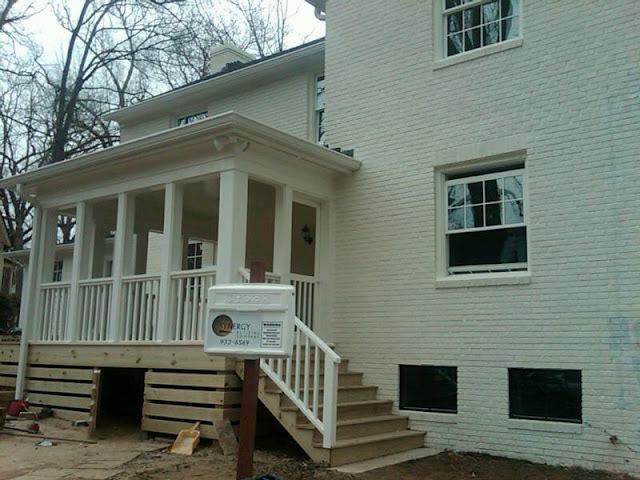 Looking back to these pictures of the house prior to our renovation you can really see the difference made to the exterior of this brick home. We just started an exciting new project in Chapel Hill. Demolition is underway. This is a beautiful historic district home close to UNC, that started out as a single family home in the 1930's, but was divided into two rental units about 20 years ago. The current owners have decided to completely renovate the structure and bring it back to a single family residence again. That means removing walls, replacing roof, windows, and doors, reconfiguring traffic patterns, removing all the existing hvac ducts and equipment, most of the plumbing and electric, removing two kitchens, adding a screened porch and deck, and renovating all the finishes. The project poses some challenges, but we're confident that when we're done, we'll have an energy efficient home with all the modern conveniences, while saving much of the character and feeling of the original 1930s home. 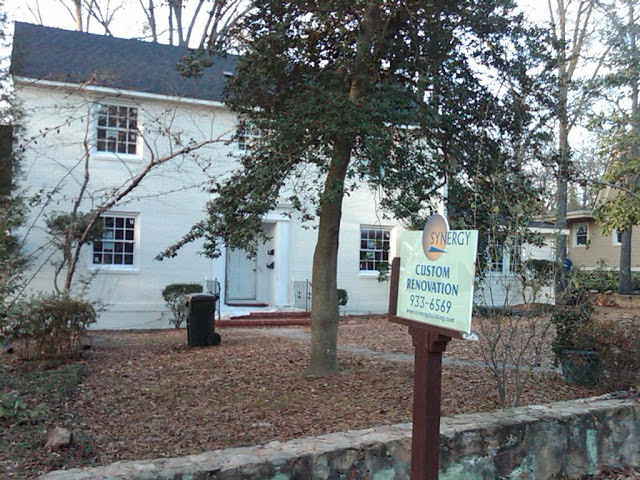 Here are some pictures of the exterior of the home before the renovation began.